Love the theme that you chose. I agree people love to create their own look. Love your blog! Your theme is going to be fantastic, can’t wait to see more!! Personalized jewelry is always a hit with customers! Nice fit with your business name, too. Charms seem to be a thing that never goes out of style. And there are so many occasions and interests to be featured. Sounds like you have a winner for a theme. Good post and fab necklace! So glad you talked me into doing this, sort of. Show us more if your work! Quite a story there. You are so lucky to have a dad in he antique business. Lots of opportunities for you there. I do love your name, Relic Charm. That got me intrigued before I even read the blog. Good idea with the many charms that can be added to different pieces. I love your idea to allow customer personalization with the charms. And, the purple pansies in your vintage treasures photo are killing me! Love! Looking forward to seeing your designs in the big reveal! Great idea to keep people buying. 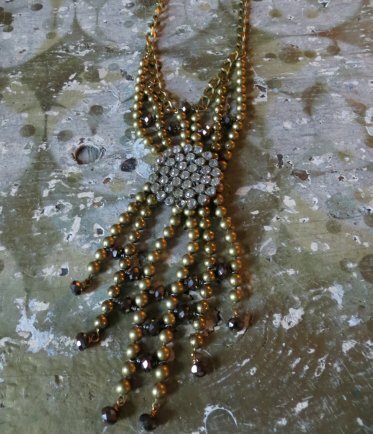 Love your back story and how you have progressed in jewelry making. Your journey to now. Jenny, I love your ideas and the charms are going to be wonderful! Can’t wait to see what you create! Be Blessed! This is a great post, the blog is laid out well and great photos…..can’t wait to see what you come up with and where you end up at the end of the class! you are doing a great job. Great blog story about your history and how you’ve arrived at your Line decision. Looking forward to sharing your journey, Jenny! What a fantastic concept for an jewelry line! I enjoyed reading why you have chosen this idea and I think you will make it successful, I can’t wait to see your line! Wow, Jennifer, you have an impressive background story! Your idea sounds perfect. I, too, can see these making great gifts. I can’t wait to see how it turns out! I’m sure they will be a hit in your shop! 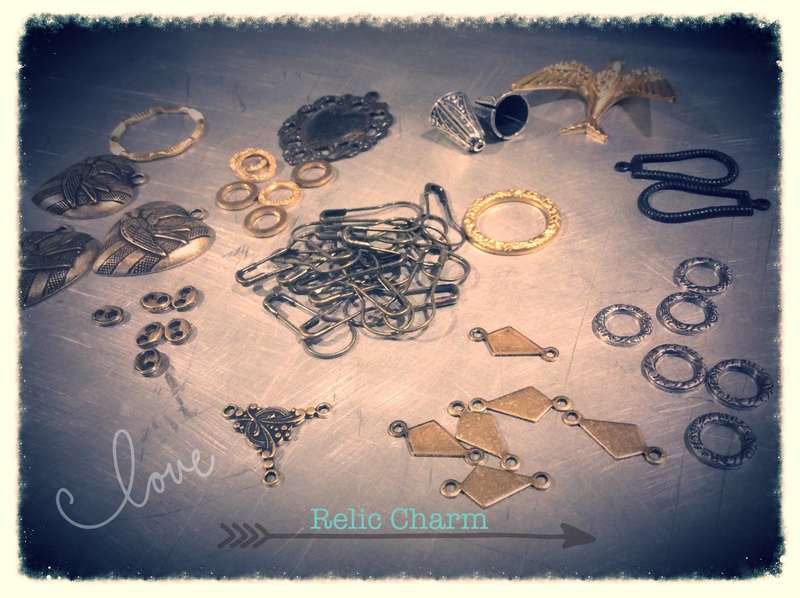 Personalized Relic Charm jewelry!! Love it! Glad you are taking this journey with us! Really cool story! Can’t wait to see what you make with all that cool stuff. Very nice blog, pleased to be in this creative challenge with you. Glad to be on this journey with you. Can’t wait to see your line! I also used to feel I should only work in sterling silver, letting go of that rigid thinking has helped me immensely in my designs and creativity! I look forward to seeing your finished line! Jenny, the charm idea will really allow for customization and collecting. Love it. Looking forward to the emerging line. Love your concept and line here’s to happy creating adventure. 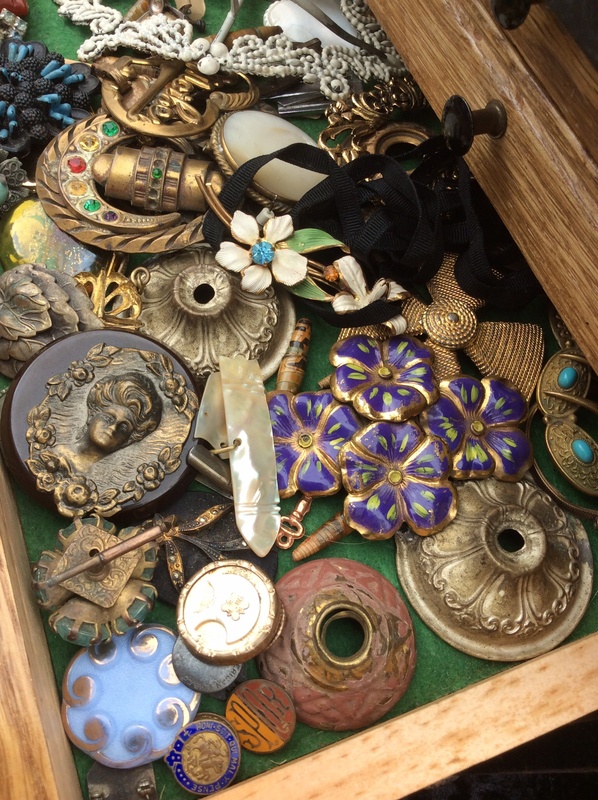 Ah, yes….we both began with vintage jewelry!! I’m way curious to see your design and know it will be wonderful. I enjoyed reading your blog. How nice to work with jewelry related business. It sounds like jewelry gets into your life magically and naturally. Jennifer–I love the theme Relic Charm. And the personalization is a great idea and I’m sure will be a good seller. I’m looking forward to seeing your line. Jennifer, using the vintage pieces and the personalization aspect of your line is really appealing. Looking forward to the final reveal.